As new medical technologies and treatments develop with increasing momentum, the legal and ethical implications of medicine are being called into question as never before. 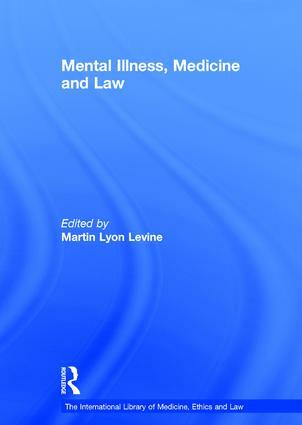 Martin Levine's collection brings together the seminal papers written on the nexus between mental illness, its treatment and its relationship to the law. The volume also provides an informative introduction, summarizing the area and the relevance of the articles chosen. Martin Lyon Levine is the Vice Provost for Faculty Affairs at the University of Southern California, USA.